CEO, Shenzhen eSUN Industrial Co. Ltd.
3D printing is a kind of rapid prototyping technology which can construct objects by layer-by-layer printing based on digital model files and using adhesive materials such as powder, metal, or plastic. Now it is gradually directly used in manufacturing some products in the industry of jewelry, industrial design, construction, engineering, automotive, aerospace, dental and medical industries, education, etc. Common materials for 3D printing are nylon glass fiber, durable nylon material, gypsum material, aluminum material, titanium alloy, stainless steel, silver plated, gold plated, and rubber material. With 3D printing technology playing an increasingly important role in our production process, many of these common materials start to cause environmental pollution and wasted resources. In response to this problem, eSUN developed biopolymers and recycling technologies. These kind of biopolymer materials are made from renewable and biodegradable resources. eSUN has successfully developed more than 20 biopolymers such as PLA+, eMate（PCL) PVA, eSoluble（PVOH, eBanboo（PLA based), PLA-TPU and PCL-TPU filaments, eResin-PLA photopolymer, PLA powder, PCL powder, etc. They’re non-toxic to the human body and harmless to the environment. Although, they are all biodegradable, most use these materials through the process of liquation, chain scission, depolymerization, and purification. eSUN realized chemical recycling on those resources. And eSUN’s Chemical recycling technology has patented in the US and China. eSUN is committed to use renewable resources for developing environmentally friendly products and benefiting environmental protection. Kevin Yang graduated with a Philosophy degree from Peking University, then earned a doctoral degree in Business Management from Wuhan University. Since 2002, Kevin has worked as President and General Manager at eSUN. 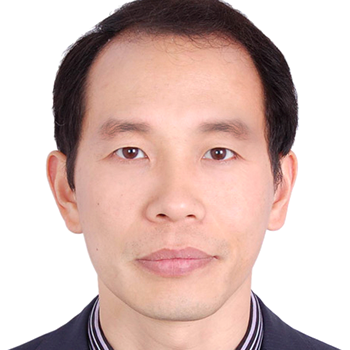 Previously, Kevin was the vice president of degradable professional committee in China Plastics Industrial Association, vice chairman of Shenzhen Polymer Association, and Chairman of Guangdong low carbon bioplastic industrial innovation alliance. He has applied 30 international and domestic patents.